To this day it remains unknown who shouted “Fire!” and caused so many deaths. There was actually no fire at all, but such panic erupted that many people died in the press of bodies. On this day, Christmas celebrations were being held in the American town of Calumet, Michigan. Over 500 people were in attendance, mostly the local miners and their families. 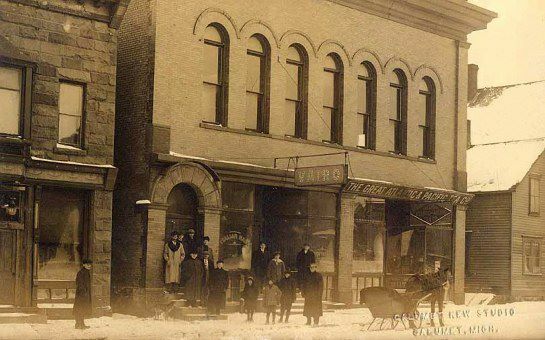 A Christmas party was being held on the second floor of the Italian Hall, a commercial and recreational building. During the party, someone shouted “Fire!”, causing a stampede towards the exit. The only way out was a narrow stairway leading from the second floor downwards, plus an inadequately-marked fire exit. As many as 73 people, including 59 children, died in the press of bodies. To this day it remains unknown who shouted “Fire!” and caused so many deaths. Since many of the miners were striking against the local mining company, there exist theories that someone deliberately ruined the party, to spite the strikers.